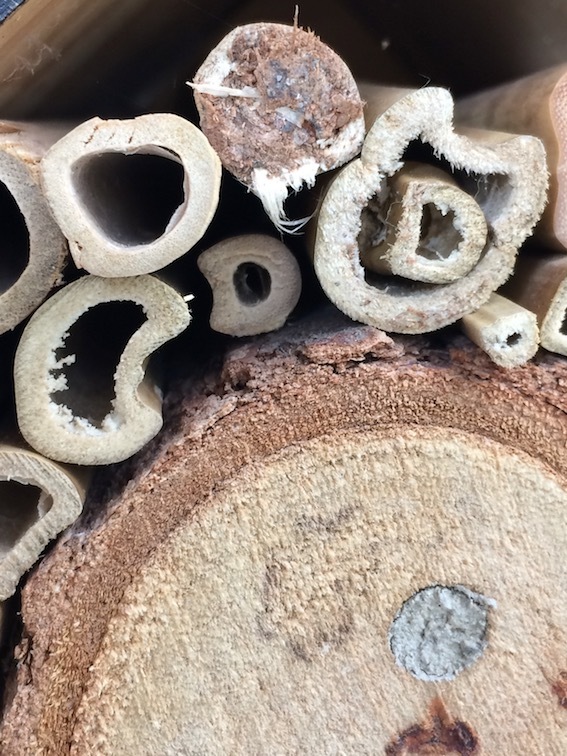 I am often asked if bees really will live in these bee hotels. Well the answer is a definite YES! 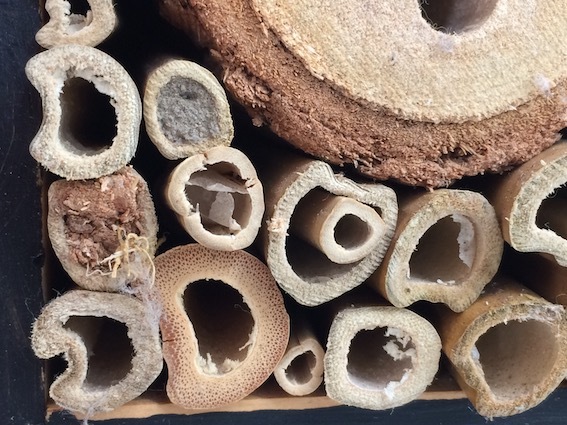 There are about 24 different bee species in the Sydney area that would love a bee hotel. However there are a few tricks to welcoming your bee friends to their new home. Firstly, the diameter of the bamboo or drilled cavity should be no more than about 1cm wide. Different species are different sizes so an assortment of between 2mm-9mm is ideal. Secondly, place your hotel close to a food source – flowers! The bees are most likely to find your hotel, and use it, if it is easy for them. You see, the female bee flies backward and forwards providing pollen and nectar for her brood. The closer the nest to the food, the less work for the bee. Smart! Also, select a spot that is protected from the weather, with morning sun, and shade from then on. A baking hotel is no fun! Finally, the solitary bee species most likely to use your hotel (leafcutter, resin and masked bees) have an annual cycle. The female bee collects pollen and nectar for her young. She lays one egg and provides the brood food for that egg. Then she repeats the process. This can take many days or weeks. Once she has finished she dies. The young stay within the nest over winter and emerge next spring. So depending on when you offer the hotel to the bees, it may be found quickly, or, it may not be found until the following spring. 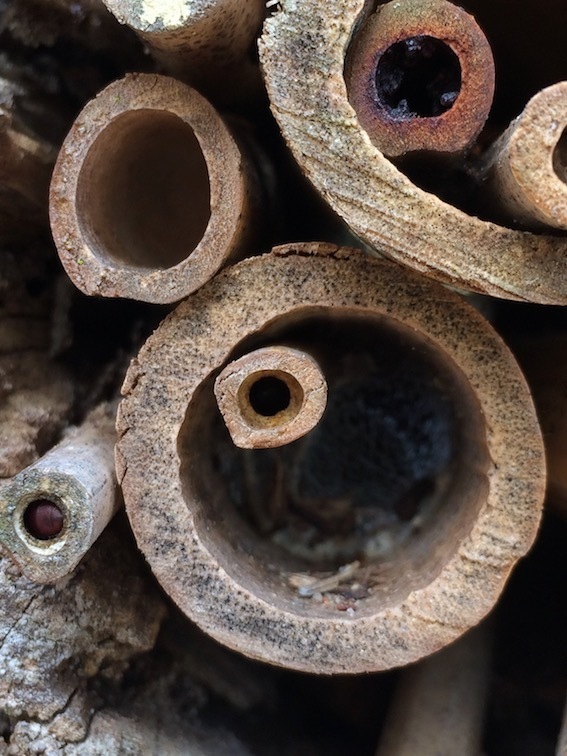 Once a bee has used a bamboo or drilled cavity, she will not reuse it so you will need to replace it. So, how will you know who has moved in? 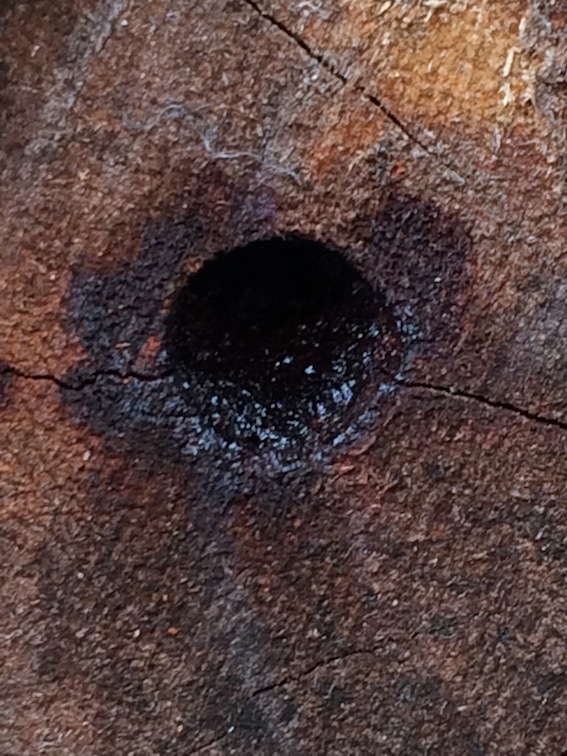 Well it is a little tricky, but the bees leave clues…..a signature closure. The leafcutter bee seals her nest with leaves. The resin bee has a toffee like door made of resin, and the masked bee creates a door of silk like a spider. Other guests may like it too, like the solitary mud wasp. But like the solitary bees, this wasp is not aggressive and rarely stings. 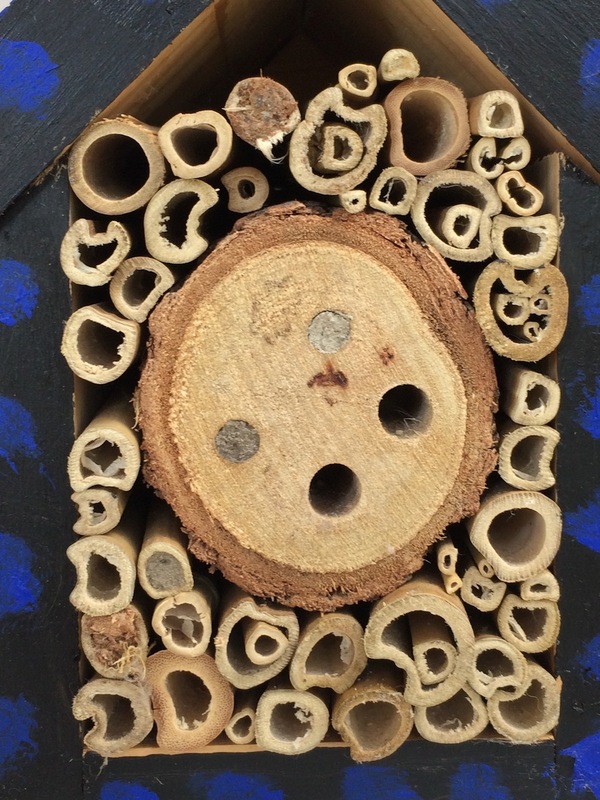 I put the hotel in this picture in place in September and already there is some activity – a leafcutter bee, mud wasp and what looks like a masked bee closure. 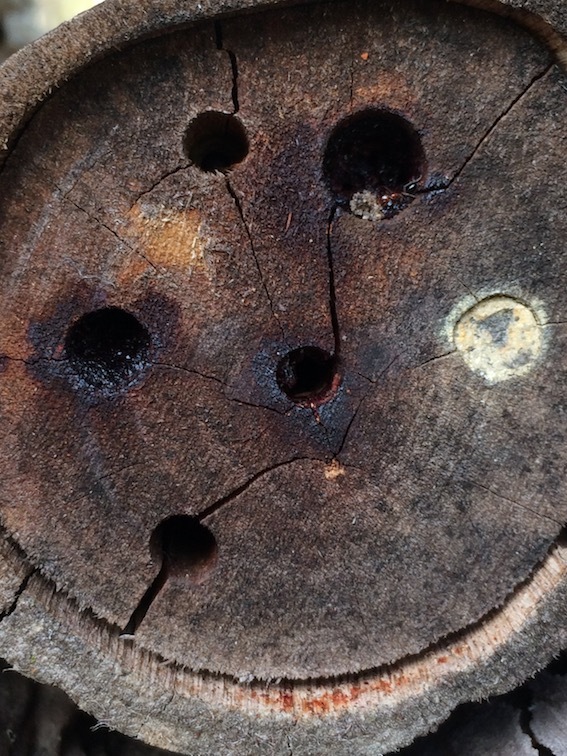 The other pictures showing other species are from drilled wood I put out last season. So good luck and may the bees find you!